Lowell, MA April 21, 2016 - Jabra and MetroNaps have partnered to help bring the productivity and creativity benefits of napping and audio to the workplace. Together, Jabra and MetroNaps bring the business tools for enabling better working practices into the future. Businesses have long invested in employee benefits, such as massages, free food and drinks - now they can extend this to enabling sleep too. The MetroNaps EnergyPod offers a space uniquely designed to enable napping in the workplace, and combined with the Jabra Evolve 80 noise cancellation headphones, creates a complete relaxation zone. Effective rest creates an opportunity to connect the left and right brain, and syncs working patterns with natural sleep and concentration rhythms. The benefit to individuals and the business means time at the desk or in meetings is then much more productive. The Jabra Evolve 80, an over-ear headset with active noise cancellation and superior sound quality, is now available with the MetroNaps EnergyPod, and provides users a superior audio experience while inside the EnergyPod. MetroNaps already enables businesses around the world to achieve this advantage. Google, Huffington Post, Zappos, PWC, Randstad, Mercedes, NASA, Virgin Active and University of Miami all use the EnergyPod to facilitate producitivity boosting naps. Jabra enables effective desk and meeting time, with high audio quality audio experiences. While 46 percent think noise levels are the most distracting issue in the office*, both MetroNaps and Jabra technologies enable employees to focus and rest, uninterrupted. For more from Jabra on changing working practices and the MetroNaps technology, take a look at the Jabra blog. MetroNaps was founded in 2003 with a simple goal: to fight workplace fatigue. Since then, MetroNaps has been a pioneer in developing short rest solutions for the workplace. There are now hundreds of EnergyPod installations in offices, hospitals, universities and fitness centers in dozens of countries across four continents. Jabra is a leading international developer and manufacturer of a broad range of communications and sound solutions committed to let people hear more, do more and be more than they ever thought possible. 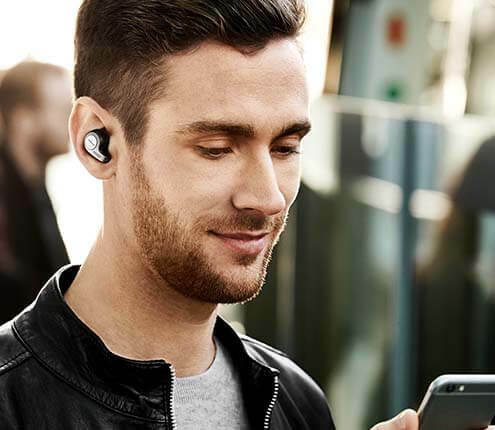 The consumer and business divisions of Jabra markets corded and wireless headsets, plus mobile and in-office speakerphones that empower individuals and businesses through increased freedom of movement, comfort, and functionality. Jabra employs around 1000 people worldwide and in 2015 produced an annual revenue of DKK 3,229 million. 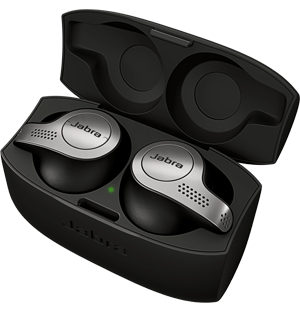 Jabra is the brand of GN Netcom, a subsidiary of GN. As part of the GN group Jabra has a reputation for innovation, reliability, and ease of use that goes back almost 150 years. GN comprises a unique portfolio of medical, professional & consumer sound solutions that makes life sound better through its research, insights, and expertise in sound. GN operates in more than 90 countries across the world, has more than 5,000 employees and is listed on Nasdaq Copenhagen.